Cameron Ifans was unlucky: he was a victim of identity theft not once but twice. Even so, his first experience didn’t prepare him for the scale of the theft the second time round. “Five years ago, I lost one of my credit cards. In fact, to be exact, I thought I’d simply mislaid it at home, and for more than a month I used one of my other cards. “The statement for the lost card then arrived. I don’t normally check through my statements, but the amount owed took me by surprise. I studied the history of my expenditure, and immediately realised that someone masquerading as me had used my card on seven occasions in the last month. In total, he or she had spent more than two thousand pounds. This, of course, was before the advent of PIN numbers. “ Although I rang the credit card company immediately, I had tremendous trouble getting them to accept that this was a case of fraud and identity theft. The company argued that I should have reported the loss of my card straightaway. 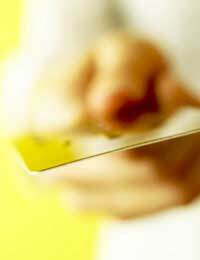 “The incident made me far more cautious about safeguarding my cards and checking my statements thoroughly every month. Nonetheless, I still wasn’t ready for my second, more recent encounter with identity theft. “On this occasion, an investigation later revealed that the culprit, Ms X, was a disgruntled employee at my workplace. She took the financial details of a number of staff from the personnel files and blatantly used them for her own benefit. The total amount she fraudulently acquired in two months was over £100,000. “Among other data, the personnel files held the bank account details, names, addresses, and signatures of every member of staff. Ms X had daily access to the files because she worked in human resources. Her motivation to commit fraud was the anger she felt when the company failed to promote her. She also had a boyfriend who turned out to be a full-time fraudster. “I suppose I thought that if I ever suffered from identity theft again, it would be my credit card that would alert me to the problem. Ms X, however, left my credit card alone. Instead, the first I knew that something was wrong was when I received a copy of a mobile phone contract through the post. “I must admit that I didn’t take this too seriously. I simply returned the contract to the company. Nonetheless, a few weeks later, I received the first bill. It was for calls and texts to the value of £220.00. It also said that the company was taking the money from my bank account in accordance with my direct debit instruction. “As I discovered later, I should never have received the contract or the bill because Ms X had placed a redirect on my post. The redirect was faulty, however, which was probably just as well. “After receiving the bill, I went straight to my bank and asked for an up to date statement of my bank account. What I saw alarmed me. Not only was I applying for a mobile phone I didn’t own, unknown to me I had recently spent £3,000 using the Internet and exceeded my overdraft limit. “I asked to see a manager at the bank. Within half an hour, I established that a man (Ms X’s boyfriend) pretending to be me had reported my debit card as lost and obtained a new one. He then used this to make the Internet purchases. The man also applied for - and received in a separate newly opened account - a personal loan from the bank of £15,000. “The manager was helpful and contacted the police. The officer who took my statement suggested various ways in which identity theft occurs. One of these was the possibility that someone had accessed my file at work. I therefore spoke to my human resources section at the first opportunity. “In turn, human resources spoke to the police. Even then, Ms X and her boyfriend might have got away with the fraud if they hadn’t been greedy. Ms X took the personal details of eight members of staff; as a result, it was relatively easy for the police to establish a common link once we all noticed irregularities with our bank accounts.